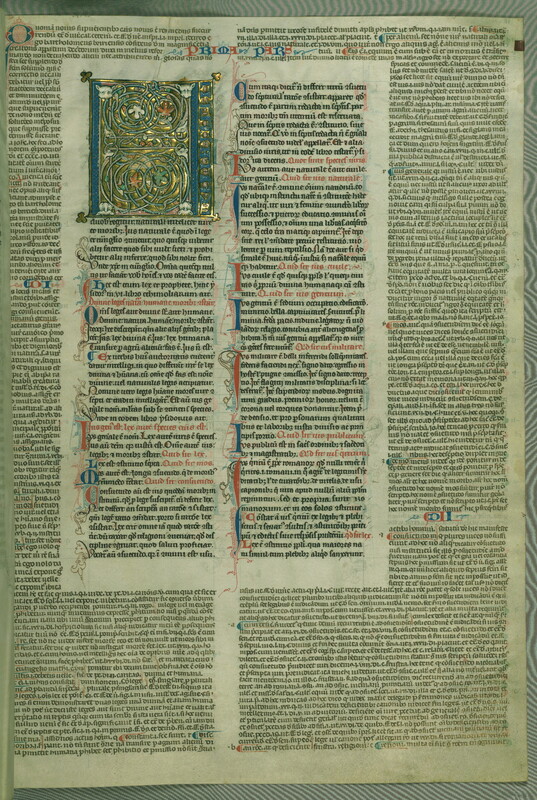 Illuminated manuscript. Hainaut, Belgium, 1280s. 354 leaves. Morris signature (Folkestone, 26 June 1896). Provenance: Pedro Álvarez de Osorio (later Moscoso), Marqués de Astorga (?). — José Maria Osorio de Moscoso y Carvajal-Vargas. — de Moscoso y Carvajal-Vargas sale, Paris, 7 May 1870, lot 14. — Ambroise Firmin-Didot. — Firmin-Didot sale, Hotel Drouot/Pawlowski, 26 May 1879, lot 38 (sold to Fontaine for F. Liechtenstein, Bibliothek). — Morris. — Richard Bennett. — Sotheby 1898, lot 558 (sold to Quaritch for £255). — Laurence W. Hodson. — Hodson sale, Sotheby, 4 December 1906, lot 275 (sold to Quaritch for £440). — Quaritch catalogue, October 1908, no. 415 (£650). — Henry Walters. — Walters Art Museum (Walters MS W.133) [by bequest from Henry Walters, 1931]. References: de Ricci, 1:825, no. 407. — Ellis valuation, fol. 7, no. 111 (£180). — Schoenberg (SDBM_196567).